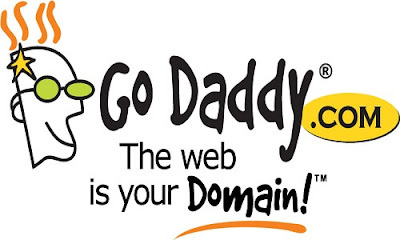 If you are looking for cheap domains with the best registrars in the world, GoDaddy or NameCheap is your go to guy. But because I am about to talk about free host sites on Blogspot, I won't be mentioning much about the best hosting companies. BlueHost is one of the best out there if you want to host your Wordpress sites. If you are building numerous sites, maybe money sites or sites for private network blogs (PBNs), and you don't want to spend a dime on registering custom domains, then you can try out Freenoms. They offer free 12 months .tk, .ga, etc., domains, with an option to renew it for free for more months. It is also easy to set up and can be used with blogspot. So, how did I mess up my GoDaddy domain setup on my Google blogger blogspot? I visited GoDaddy and made a purchase of a new custom domain. I setup all the required settings as mentioned in Blogspot third party domain setup instructions; added the required A records, CNAME records, and added the usual Google IPs to point my domain at. I was supposed to wait a few hours for my new domain to start operating, but to my surprise, after 3 days, my domain does not work, and my blog would not even load. I knew something was wrong somewhere. I scrubbed the internet looking for a fast solution, because GoDaddy's online customer support wasn't available at the time, and being in an African country, the international call charges to reach their phone support could well cost me over $5, whereas the domain I paid for was just $0.99. Is it worth it? I asked myself. While I was searching the internet for a solution, and I even had to log in to GoDaddy community to ask other members for a solution, I discovered that over the years, many have had many problems with setting up their custom domain to blogspot. It was a frustrating experience because I didn't think my blog would be down for than 48 hours. It was pretty easy, and if I knew about this from the onset, I'd have done the very first minute I paid for a new domain. All I had to was revert all my blog's template to default. Yes, default! I wiped out all the settings and plugin scripts I had added manually. On blogger, there is a setting you just have to click to allow when users type in your blog's domain naked, it redirects to the normal domain. I had this setting done on blogger. Where I messed up the setting was on my GoDaddy domain dashboard where I had pointed my new domain to the naked domain (eg. bestofthebest.com) instead of the adding the (www.) prefix (eg. www.bestofthebest.com). I fixed this and all worked perfectly. I hope after reading this, you do not mess up your custom domain setup. You can read fully on how to setup a custom domain on Google Blogspot here.